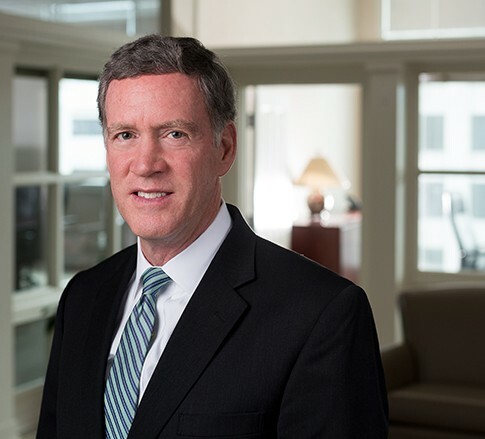 Robert F. Duncan is a Member in the Health Care and Insurance industry groups, focusing primarily on litigation, health care litigation, and products liability litigation. He practices out of the Firm’s office in Lexington, Kentucky. Bob’s practice involves a wide variety of civil litigation, concentrating on defense of doctors, hospitals, and other health care providers in medical liability actions, along with matters involving complex insurance issues, insurance bad faith claims, products liability, and construction. He also regularly serves as a mediator in civil litigation matters. To Bob, there is no better feeling than helping clients resolve their problems. When Bob can leave the office knowing he truly helped a client, it’s been a good day – and thanks to his skill and experience, Bob has many good days. An engineer by training, Bob relishes the opportunity to produce tangible results and get his hands dirty, whether that means arguing motions, mediating cases, or going to trial. While at work, he’s happiest in the trenches. Bob is not satisfied with the status quo and is always pushing for a better result, both professionally and personally. At work, this is reflected by his desire and ability to get the most for his clients. This same drive also pushes him to do extraordinary things outside of the office. The epitome of an outdoorsman, Bob is an avid long-distance runner, golfer, tennis player, and mountain climber. Having scaled Mount Rainier, dealing with thorny legal issues doesn’t intimidate him. Bob’s passion for the law is reflected not only through his practice, but through his desire to craft the next generation of lawyers. He has taught both medical liability and legal writing as an adjunct law professor – and everyone knows the hallmark of a true professional is someone who can teach a subject to others. Second only to law, Bob has a passion for being on the water. Bob spends the summer months enjoying all water-adjacent activities, from waterskiing to wakeboarding, sailing to paddle boarding, and even learning to fish. He has a small armada of four boats (five if you count a whitewater class paddleboard), which he swears are all necessary for different activities. In the winter months, he settles for being on frozen water, spending his time on the slopes skiing and snowboarding. Bob’s diverse interests and experiences exemplify why he’s so good at what he does. He understands the importance of helping others, has the drive to continuously learn and grow as an attorney, and commits the time and effort needed to provide upstanding representation.